The "411 On Fishing" : Are You Ready for Open Water? water once the ice finally melts! A quick look outside confirms that spring isn’t exactly springing into action! While we wait for open water time well spent is time dedicated to getting spring fishing gear in order. Early spring jigging for walleye in rivers is a jig and minnow gig. Any time the water is cold, stinger hooks should be a part of an angler’s mind set. Most commercially tied stinger hooks are fashioned from monofilament that is too stiff, detracting from the natural action of the minnow. 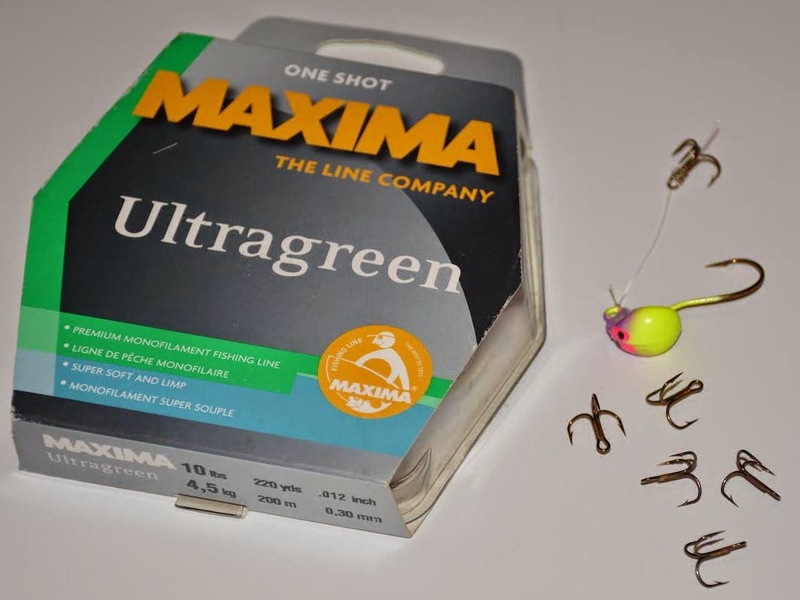 For years I’ve tied my own stinger hooks using 10 pound test Maxima Ultra Green fishing line and No. 10 round bend treble hooks. towards your body and slide the fishing line into the hook eye about an inch. Next, pinch the line onto the treble hook shank and wrap the tag end of the line around the hook shank eight to 10 times. Complete the knot by then running the tag end of the line back through the hook eye the opposite direction. Pull up the knot tight and the finished “snell” produces a super strong hook to line connection. These stinger hook snells can easily be tied to the hook eye of your favorite jig. I like my finished stingers to be about three inches long so the treble hook can be hooked near the tail of the minnow. Early and late in the season when I’m trolling slowly, I always have Off Shore Tackle Tattle Flag kits mounted to my planer boards. 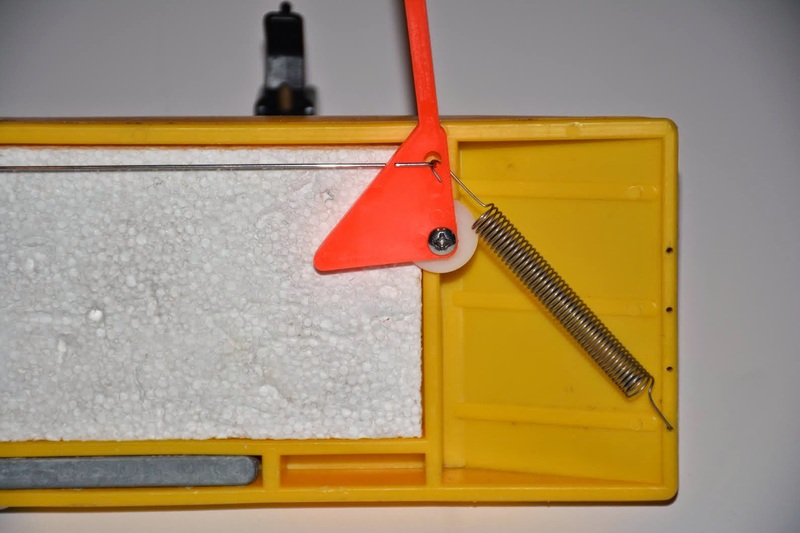 These spring loaded flag systems help in detecting light bites. It’s also a lot of fun to watch the flag tip down, indicating a fish has been hooked! In the fall when the ice puts an end to open water fishing, I take my Tattle Flag equipped boards and remove the stainless steel springs. If the springs are left in place on the boards, they can get sprung and will eventually require replacing. In the spring I simply hook up the springs again and the Tattle Flag boards are ready for action. If your springs are worn and need replacement, Off Shore Tackle sells replacement springs. Simply contact www.offshoretackle.com to purchase from their on-line store. they are available on line at www.offshoretackle.com. Another late winter project involves putting fresh line on your fishing reels. Monofilament line should be replaced at least once a season. Fused lines also need to be replaced annually. Super braids will last two or more seasons depending on how much service they experience. Because premium monofilament, fluorocarbon, fused and braided lines are expensive these days, I recommend first spooling on monofilament as a backing material and then top dressing the reel with the desired line. For spinning reels a top dressing of 50 to 75 yards is plenty for most fishing applications. For trolling reels a top dressing of 100 to 150 yards of line is required. Stripping old line from reels can be done quickly by taking a one or two liter size plastic pop bottle and rigging a 1/4 inch bolt to the screw on cap. Mount the 1/4 inch bolt to a cordless drill and then screw on the pop cap securely to the pop bottle. Wrap fishing line to be discarded around the pop bottle a couple times and then let the drill do the hard work. I often strip six or more reels at a time using the pop bottle trick. When all the line has been removed from the reels, the discarded line can be recycled at a tackle shop or simply discarded. 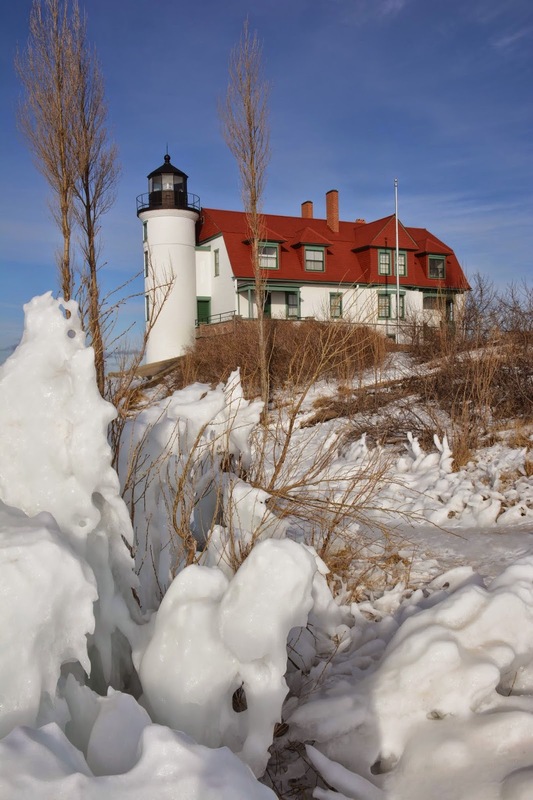 The above projects are just a few of the winter chores anglers need to be thinking about. When the ice finally melts, it’s game time for those anglers who are organized and ready to hit the water.